The Canadian Medical Foundation and Canadian Physicians for Aid & Relief are joining forces to help strengthen the health care systems in one of the poorest and often forgotten regions of the World: Eastern Africa. For over 35 years, CPAR has made a commitment to long-term change in rural East Africa. CPAR employs a community-centered development approach, working in partnership with African community members to develop initiatives that best address their needs, where they live. They work to improve the quality of their lives, and that of future generations. Imagine, a major hospital that is presented with multiple primary health care challenges day-in, day-out, but a health care centre that doesn’t have the resources to meet the challenges, challenges which are growing. Patients arrived en masse without warning and with complex health issues that, in part, arise from poverty and little education. Over burdened and poorly resourced staff assess and treat as best they can, but they need our help to build a health system that can make a difference to the lives of millions. One example is Fitche Hospital a regional health care system hub in Ethiopia. Approximately 1.5 million people rely on Fitche Hospital as their regional health provider. Fitche Hospital is a 102 bed zone hospital located in Oromia region Ethiopia. This is one of the poorest regions of the world and has one of the highest maternal and newborn child mortality rates in the country. Fitche hospital serves approximately 1.5 million people and is a referral center for 57 Health Centres and 297 Health Posts in North Shoa Zone. Resources (both personnel skills and medical equipment) in this hospital is markedly limited. Many of the doctors and nurses at Fitche Hospital are young and inexperienced. 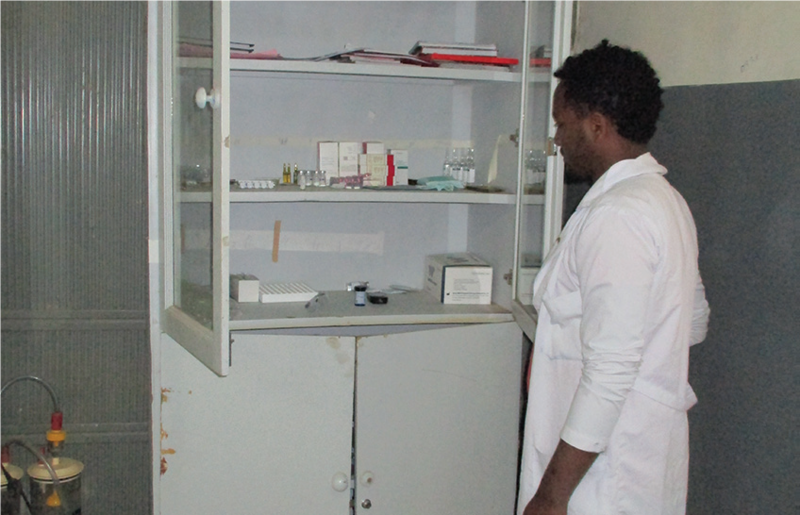 They are all on 1-5 year placements in Ethiopia as they provide their obligatory service to the state, and are almost without exception awaiting entry into specialty training programs. The hospital is also plagued by poor and deteriorating facilities, the need for proper or functioning equipment and the lack of access to clean water and hygiene practices, all of which seriously impact the health and safety of patients, visitors and staff alike. Train hospital staff on maintenance, sanitation and hygiene practices. Donations to support this program can be made here: Help build and repair a hospital. Please select CMF CPAR DM from the drop down list. To learn more about CPAR, visit their website.